John Mahony is far from your quintessential car collector, with no real preference for brand or era. One thing that is real though is his love for each and every one of them. Justin Felix steps inside his suburban garage to discover what lies within. Over the past year I’ve visited some fairly elaborate spaces – especially when it comes to those that house car collections. Big factories, warehouses and oversized sheds; the typical structures that adorn such vast collections. But what about the unassuming garages, attached to typical homes suburban homes that some of the more ‘realistic’ collections live in? Well, we’ve heeded the calls and we’re making a concerted effort to visit those too. As I approached John Mahony’s property in one of Melbourne’s prettiest inner city suburbs, I had no expectations. I was told of his love of classic cars and vintage magazines but I hadn’t been briefed on the individual cars that actually sat in his garage. “With that being said, I think the passion really grew from never being able to afford a car when I was just starting out. When I bought my first car in 1951, a Ford Prefect, I had to find £200 to cover the deposit. The car cost £400 which was astronomical back then. I sold a lot of stuff and scraped everything I had to get that deposit together so I think my generation has a real sense of appreciation for cars,” John explains. Interestingly, he sold the car back to the same dealer he bought from a year later and was offered £395 – only £5 less than what he bought it for. Imagine being able to do that these days. Not content with just one Buick; he ended up owning three, all at the same time, from 1968-2007. 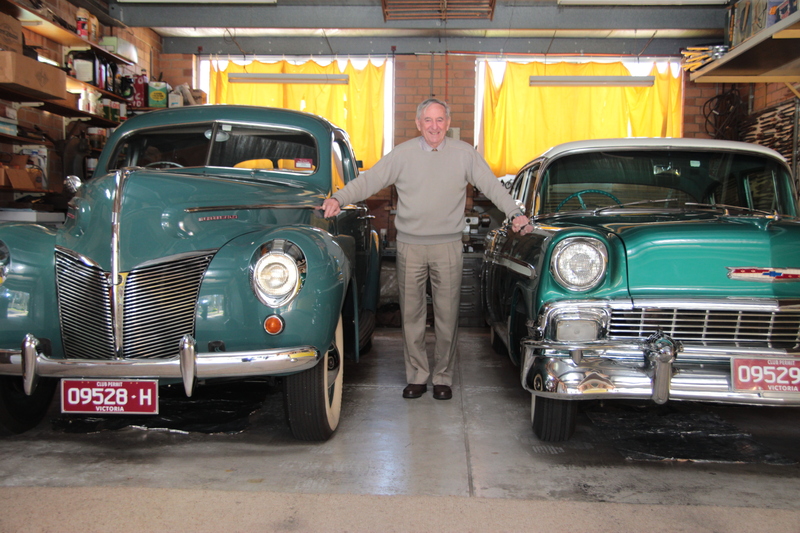 As we sat and conversed in his lounge room, he pulled out photos of most of the cars he has owned along the way. The joy they bring is impossible to hide, made obvious from the smile that adorned his face. At that moment his lovely wife Sylvia entered the room, “He knows everything about cars but he still doesn’t know what a tea towel does,” Sylvia exclaims, before we all share a laugh. John looks sheepish for a moment but goes on to tell me about his love of cars. To scratch that itch, John purchased a 1940 Mercury sedan. It was a complete ground up restoration job; to the point where he stripped it back down to the bare chassis. 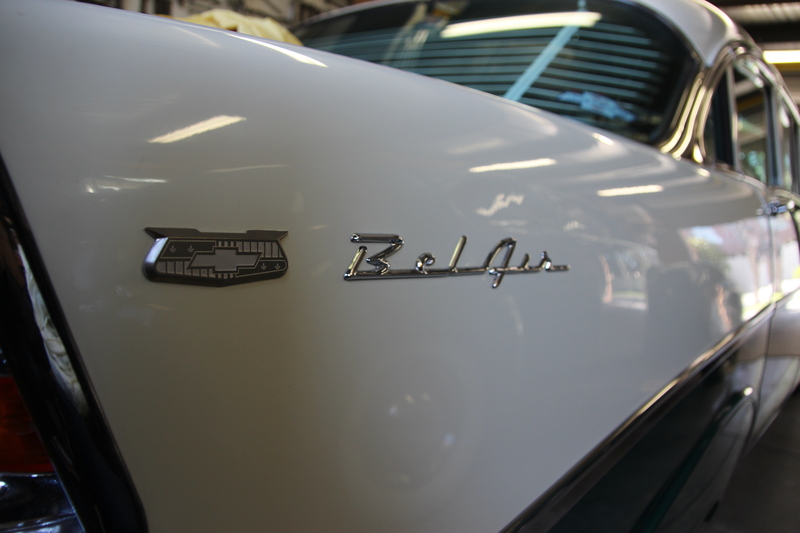 John spent 10 years on the car and in his words, “It is perfect now,” he says with a sense of adoration. With that being said, it was time to get a glimpse of the shed. What looked like a modest two car garage had actually been extended outward to now accommodate seven. And accommodate it did. The floor was free of any mess and the walls were neatly lined with tools, screws, bolts and machines. There were screws available for any thread required and more files than most professional woodworkers require… which reminds me, I never did get the chance to ask him why he needed so many. “After I retired, I extended the existing garage to include space for a third car and roller door at the back that would allow me to drive the cars into the backyard. That was really handy as it allowed me to sandblast and spray the cars outside. After the original extension I built a four car garage beside the original one which meant that I could now house seven cars. “I was an accountant and worked in the construction field which was pretty tough as the market was so up and down. We had to go out and tender for jobs, offer to do them at the lowest cost, and still earn enough money to be able to pay all of our staff. When we wound that business up I set to do something that didn’t involve me always worrying about money. All I wanted to be able to do was learn how to spend it,” he jokes. So with that in mind, and a yearning to get his hands dirty, he went and learnt fitting and turning, welding, spray painting and panel beating. The existing garage played home to two cars, with one much more recognisable than the other. It was a silver 2003 Mercedes Benz C280. The less recognisable was a 1961 Humber Super Snipe. 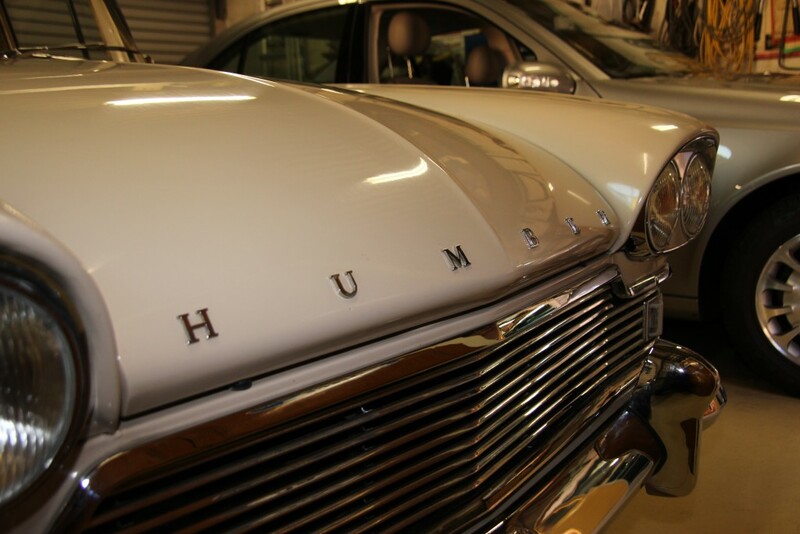 I’d never seen one before, let alone heard of the brand Humber. After sitting inside it, I could understand why John was so fond of it; the bench seat was more comfortable than most couches I’ve sat on. 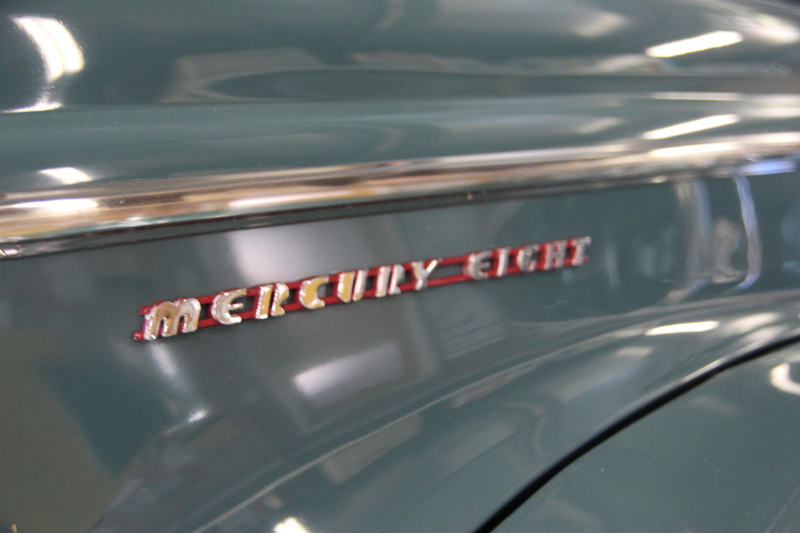 Sitting in one corner of the four car garage was the Mercury John spoke so fondly about… it was easy to see why he adored it so much. Next to it was a boisterous looking ’56 Bel Air Chevrolet in mint condition. It was a car John had long admired. In front of the Chev was a ’56 Holden FJ Special bought to commemorate the one that Sylvia’s father once owned. Bought in 2010, John wasn’t physically up to the task to do it up himself, hence he found one already in tip-top condition. “Umm, this one is a bit out of place John, what’s this doing here?” I asked. “This here is my everyday drive, it’s also Sylvia’s favourite car… she won’t drive anything else,” he grinned. 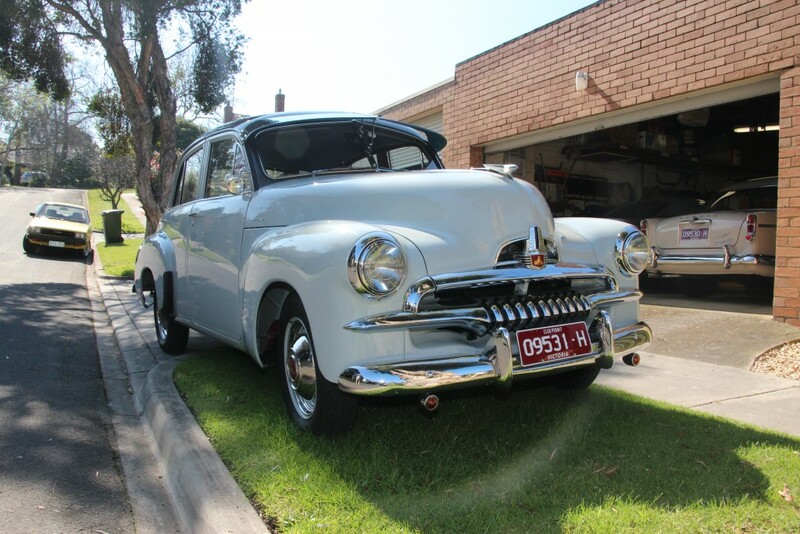 So with such an array of pristine vehicles sitting in his garage, one could easily be mistaken for thinking they don’t leave the comfort of their home, but as John explains, they all hit the pavement at one point or another. And when it goes to choosing a favourite, it’s an impossible task. 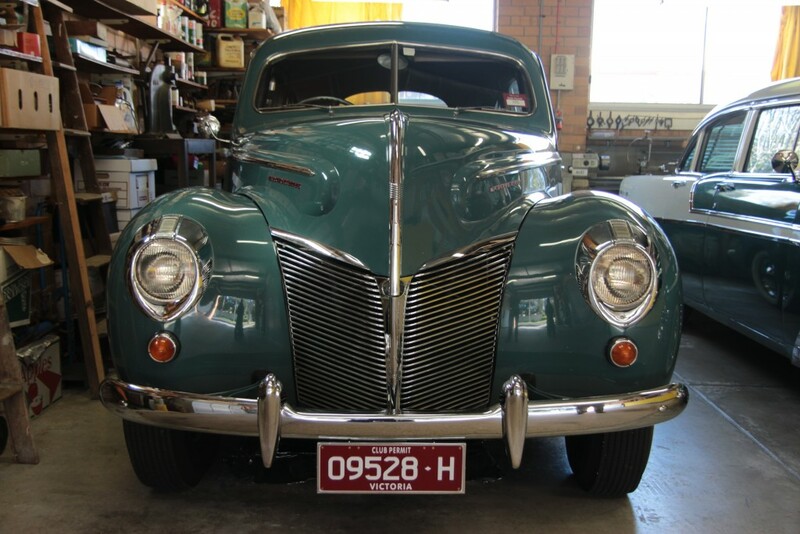 As well as a passion for the vehicles themselves, John has a fascination with tracing the history of the cars and goes out of his way to find the previous owners, those who restored them and where they came from. He even has some of the original plates they were given as well as registration papers. Remember, some of these cars date back to the ’40s so it’s no easy task. “I’ve stopped collecting now but there is one car that I always wanted and never got my hands on… the 1938 Packard. If I managed to get rid of a couple of these cars, then maybe, but you’ve seen them all, which one would you sell?